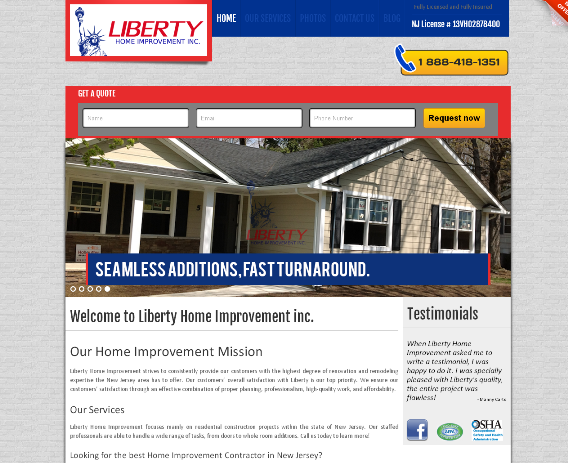 Fabio has operated his construction company, Liberty Home Improvement inc. in Northern NJ for over 15 years! In this time he has grown his company into something he is proud of, But Liberty HI was looking for growth and Go Digital NY had a solution. Go Digital NY focused on building a website that implements best practices in conversion optimization to ensure the website takes an efficient advantage from the marketing efforts. Liberty was also built with an SEO strategy from the ground up.